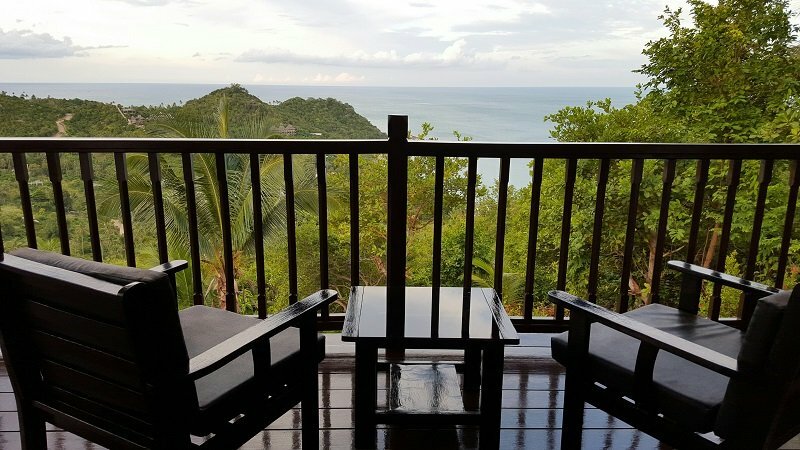 Review of Sunrise Villa is a three bedroom villa with a sea view in Thong Nai Pan Noi in the north east of Koh Phangan. It is available for rent for short stays from 3 days or long stays of 1 month or more. 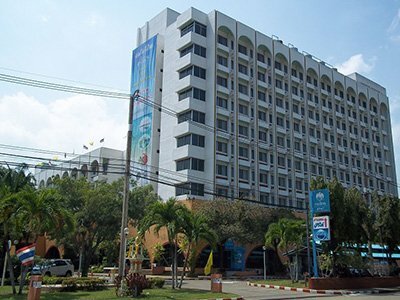 Its represent excellent value for money costing a fraction of equivalent hotel accommodation in Thong Nai Pan, especially if booked for longer periods for which the owners are willing to give great deals. The villa consists of three bedrooms (all with their own bathrooms), a large open plan lounge and kitchen, wrap around balcony, and large private garden. The house has free high-speed internet and satellite TV, as well as full cooking facilities with a modern Western style kitchen including a fan-assisted oven – something you do not find often in Thailand. The best thing about the villa is the view. It is amazing. 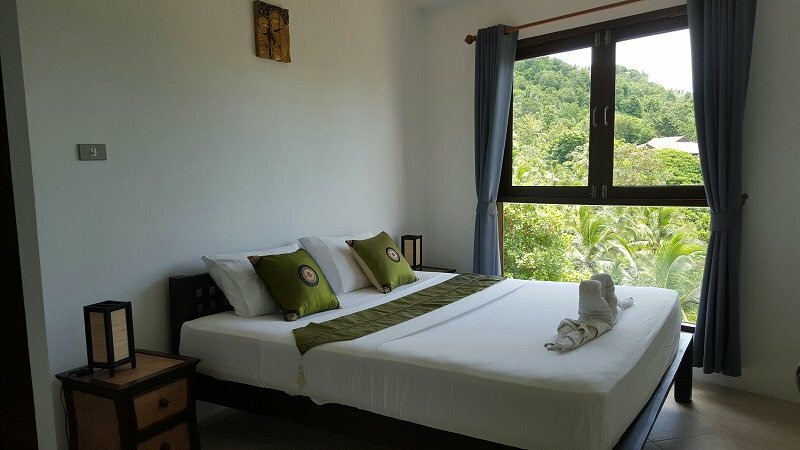 Sunrise Villa is located on the hillside above Thong Nai Pan Noi beach which is about 10 minutes walk away. The view from the villa is 180 degrees and you can see the ocean and the headland as well as the white sand beach. The upstairs bedroom, the lounge and the balcony all have direct sea views. I really enjoyed staying at Sunrise Villa. Its great to have your own house and the setting on the edge of Koh Phangan’s 168 km square national park is peaceful. The nearest house is 500 metres and there are no disturbances whatsoever. The villa is very well maintained and the villa staff come every other day to clean. 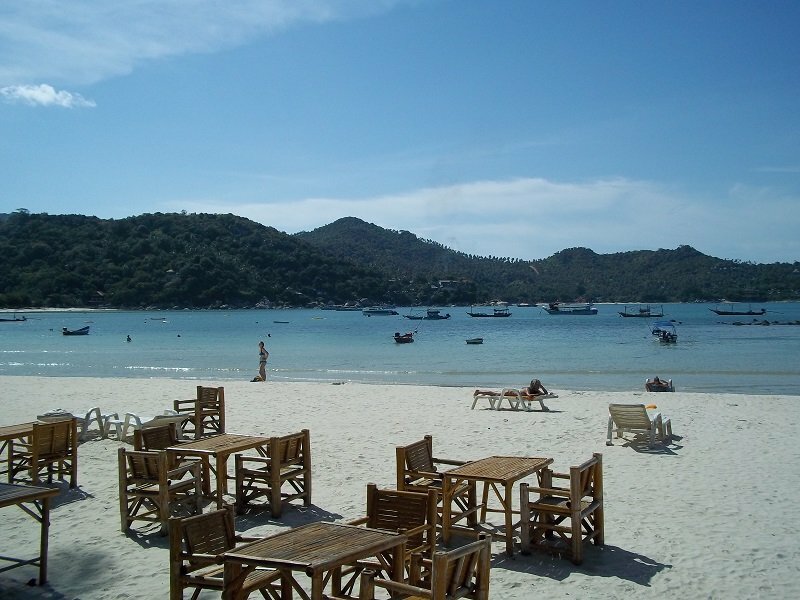 Its a short distance to the beach and the village, where the swimming is excellent and there are plenty and good bars and restaurant to go to. This said we spent our days out at the beach and came back to the villa to cook for ourselves in the evening and relax on the sofa watching films. Great way to spend a holiday – who wants to rush around the whole time or be disturbed by other guests at a hotel. This villa is run privately and the Thai owner tells me she is very happy to make deals with people. 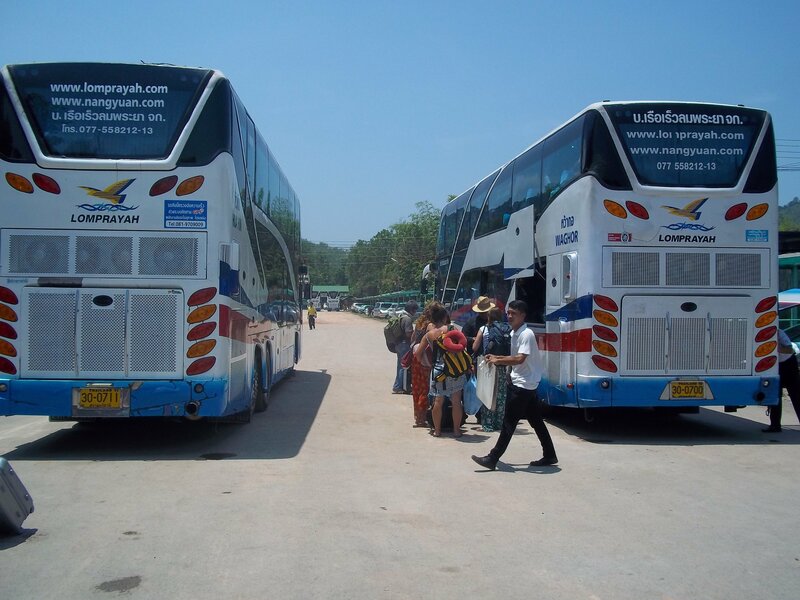 As a guide most of the year its about 4,000 THB a night to rent going up to around 10,000 THB at peak periods. 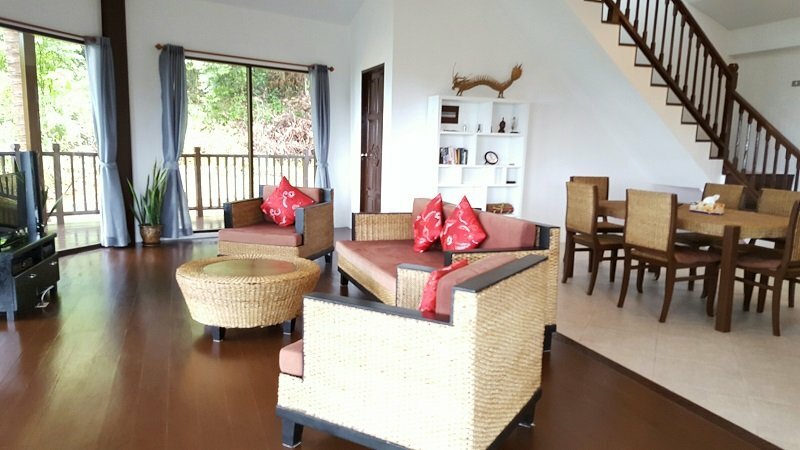 For longer periods and out of season the owner will sometimes let the villa for as little as 2,500 THB to 3,000 THB a night. It all depends on how busy they are, what time of year it is, and how many people want to stay. 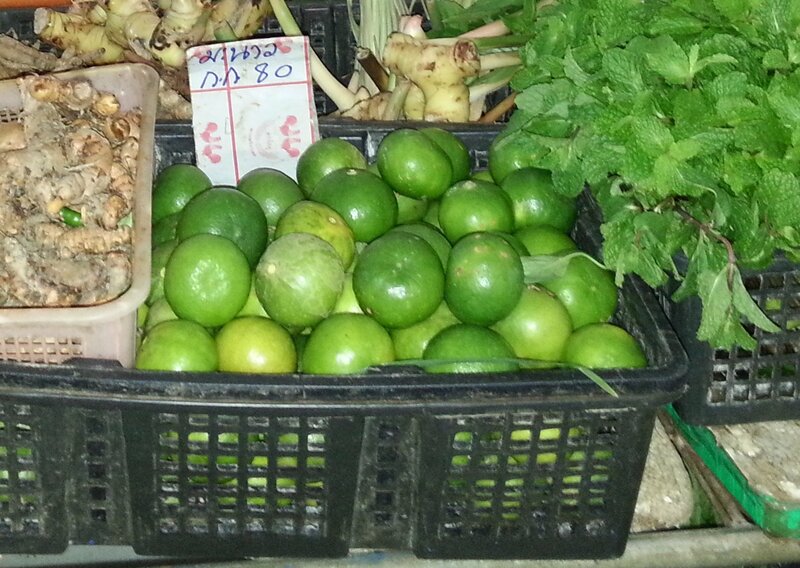 I think it is cheap. Other hotels with similar standard of room go for that price per one room and at Sunrise Villa you get three rooms, a lounge, kitchen and a private balcony for the same price. Its a bargain.